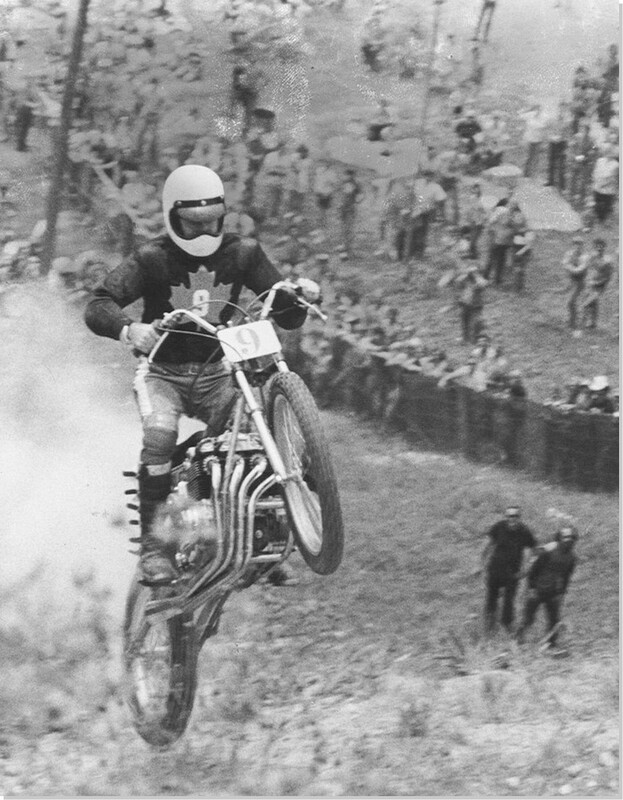 Motorcycle hillclimbing is one of the most visceral and dramatic sports ever invented. 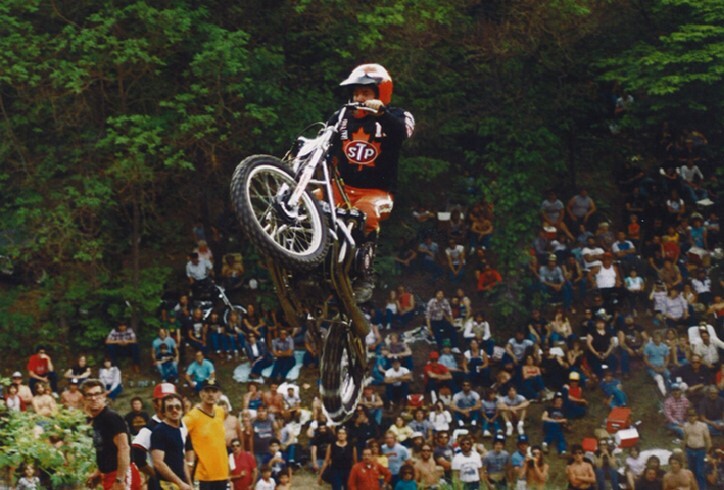 There’s no time for contemplation as you aim a bucking and screaming multi-cylinder machine burning an explosive brew of nitromethane up a hill side that's almost too steep to walk, hoping to leap 400 feet to the top in a scant six seconds. That’s the sort of gentle pursuit at which John Williams excelled for more than 35 years. 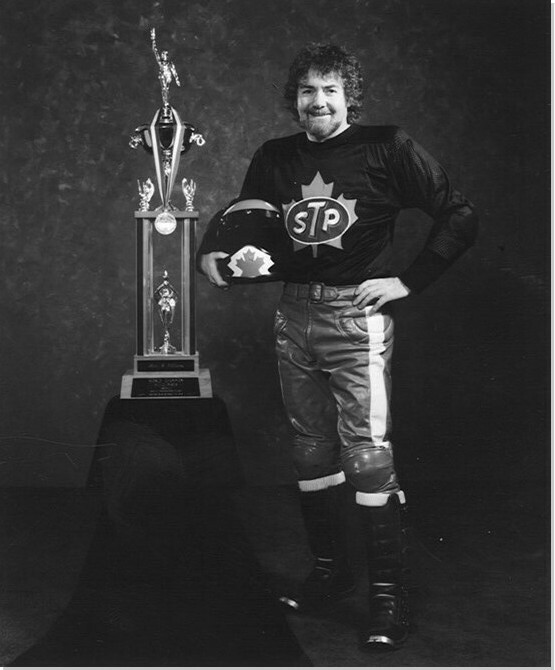 John is the only Canadian ever to win a world championship in any form of motorsport, succeeding on five occasions between 1972 and 1981. 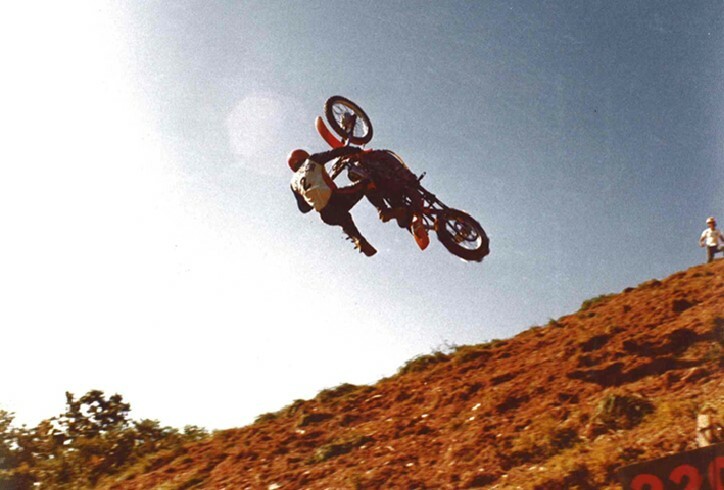 He also prompted a revolution in hillclimb machine technology. His adoption of Honda four-cylinder power and extraordinarily long-travel, swingarm, rear suspension ended the era of rigid frames. John Williams from Northern Ontario Motorcycle on Vimeo. 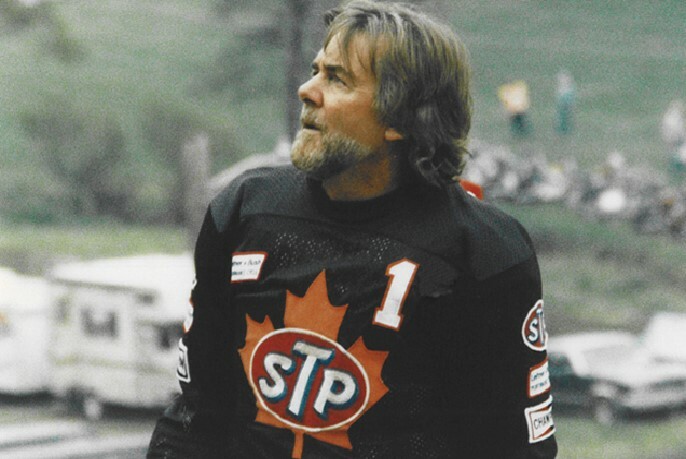 In addition to the five world championship titles, John won five American grand national championships and ten Canadian championships between 1958 and 1993, and was listed in the Guinness Book of World Records. 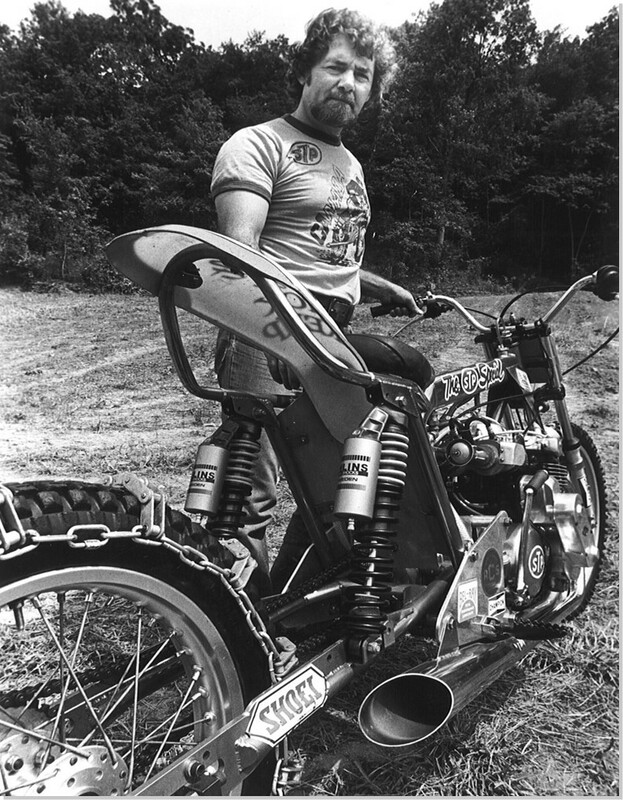 In 1978, he and his bike were voted the best motorcycle and rider by the American Hillclimbers Association. 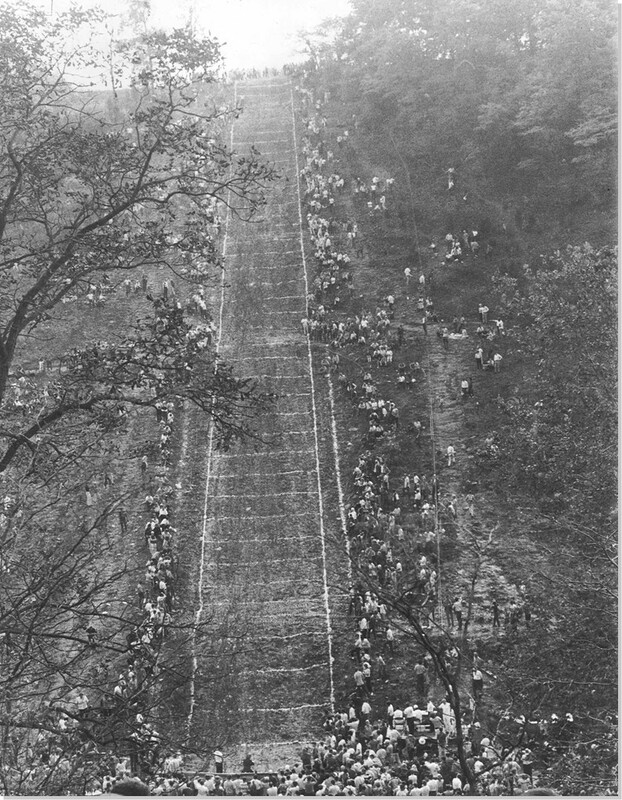 At Newry, Pennsylvania, John was the first to ever climb the hill which had defeated all comers for the preceding ten years. Two of John’s hill record times remain unbroken after more than 20 years. John’s fascination with motorcycles began in 1945 when, as a reluctant schoolboy, he would linger to stare at a parked red Indian and receive a cuff on the ear from his mother for being late. The seed was planted and took root at age 12 when he and his neighbor, across the road from the family farm in Markham, Ontario, siphoned gas from a tractor and rode his friend’s father’s Francis-Barnett all over the fields and back roads. Finally, at age 15, John made the trek to Danforth Avenue in Toronto's east end to buy a 98 cc Excelsior from the dealership of Harry Firth. Others soon followed, including a James and an Indian, on which he rode enduros, to the mirth of his competitors. 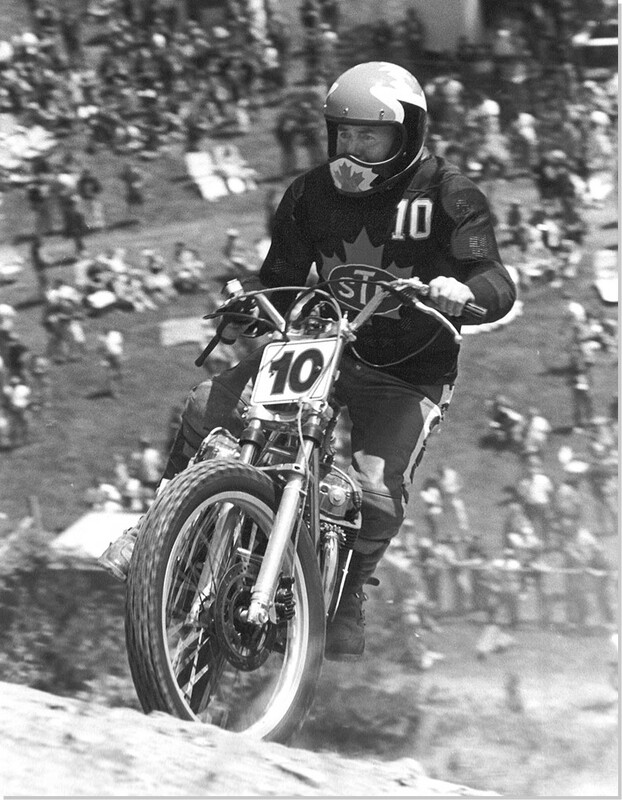 Then, on a visit to Kitchener while still a teenager, John heard there was a motorcycle race nearby, and jumped the fence to see what was going on. It turned out to be the annual hillclimb at Mt. Kuhn near St. Agatha. 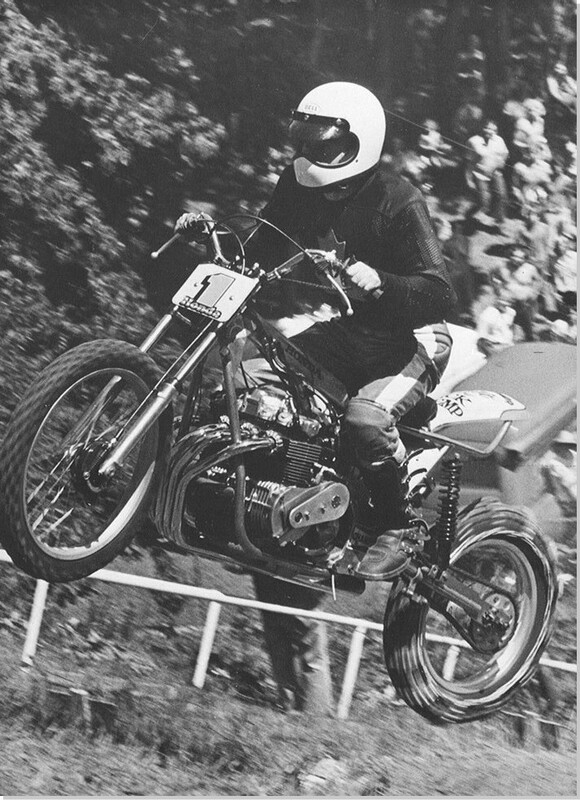 There seemed to be nothing happening until, with a roar, Howard Mitzel, the grand old man of AMA hillclimbing, blasted his Indian out of the pits and over the top. John declared that was what he was going to do. 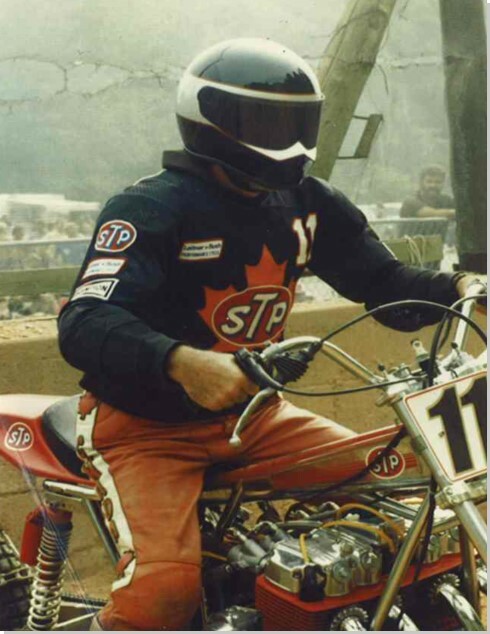 He made friends with local racer, Ken Hatton, who, in 1977 when Hatton was injured, offered his bike to John, who scored a third place. John soon bought an old 750 cc Harley WR flathead racer from Bill Slim Thompson of Weston, Ontario, and set out to make his mark. It was not an auspicious start. 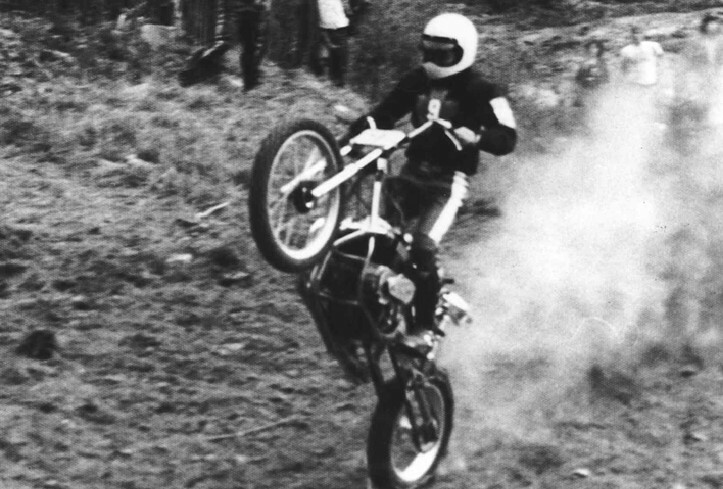 His first event was at Egypt, N.Y., where he scored four crashes in four rides and was advised not to give up his day job. 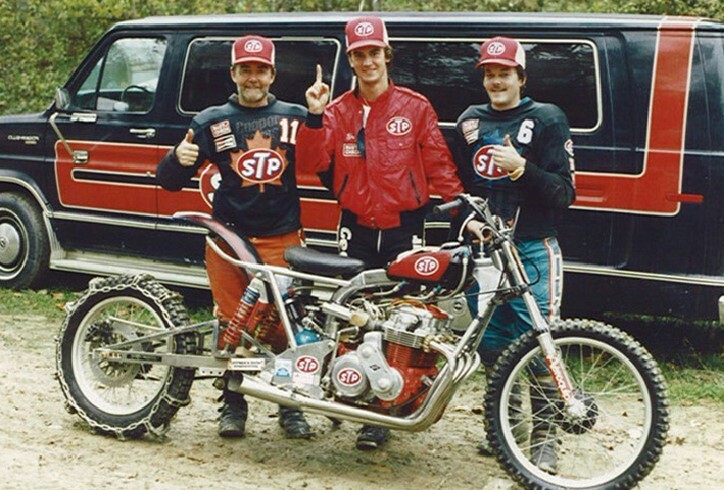 John toured Canada and the eastern states with Dave and Ken Hatton, but the outmoded Harley brought him little success. 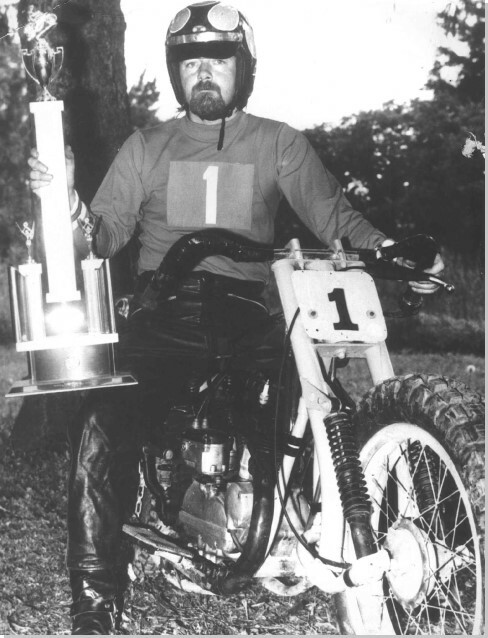 His idol at the time was Joe Hemmis, a Maryland rider on top form with a Triumph among the mainly American machinery of the day. John gained only a single win in his first 10 years. Finally, Gerencer’s Harley-Davidson of Elkhart, Wisconsin recognized his talent and drive. 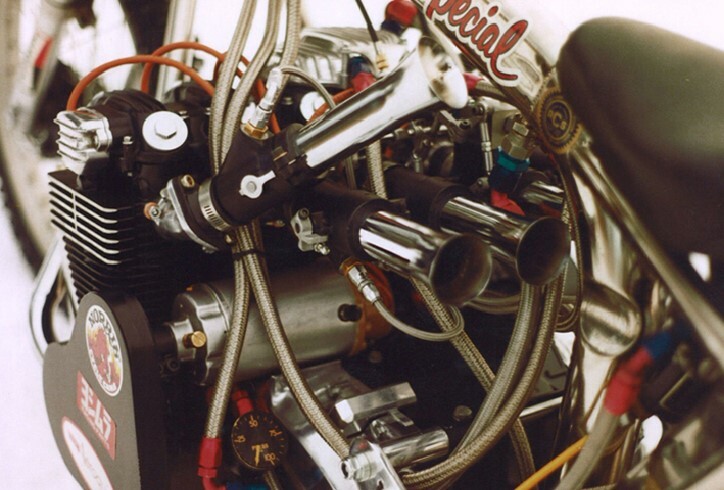 They came to the rescue with a newer KR model running with twin carbs on 75 per cent nitro. 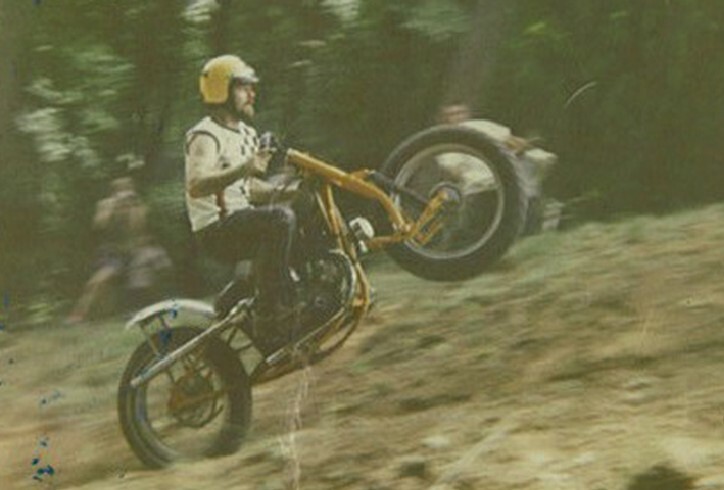 That was in 1972, and John won seven first places and his first world championship. 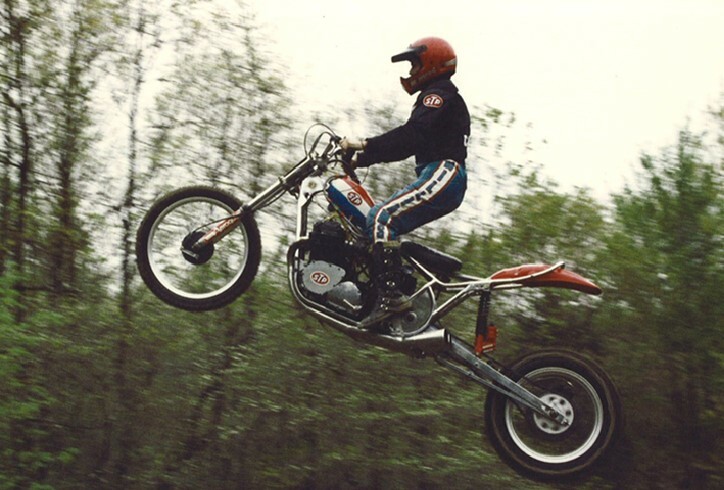 John vowed not to fall behind in the technology stakes again, since the overhead-valve Harley XR had already superseded the KR, which he retired in 1974. 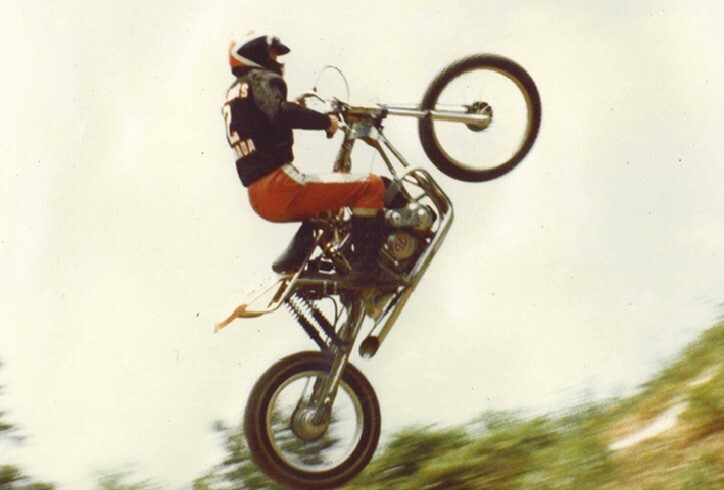 It was the dawn of the long-travel suspension era in motocross, and John decided that rear suspension, coupled with multi-cylinder power and reliability, was the way to go. Enlisting help in 1976 from ace tuner and fabricator, Nick Kemp, who at the time was working at Canadian Honda, John found a wrecked Honda CB750 and asked Kemp to build a frame around it. The results were spectacular. The Honda engine was converted to run on 97 per cent nitro, developing more than 200 hp, and a 31- inch swingarm extended the wheelbase to 72 inches. 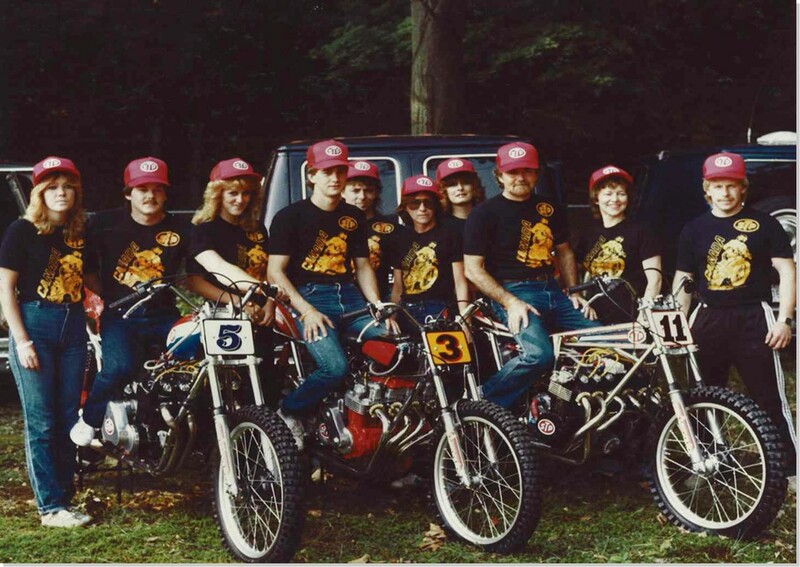 Nick built two more bikes for John’s sons, Wade and Greg, and the trio raced together for 13 years, a period John treasures. The final expression of the Team Williams STP Specials used a Honda-like Benelli 750 cc engine, and anyone who heard the six-cylinder monster scream up a hillside at 13,000 rpm is unlikely to ever forget it. 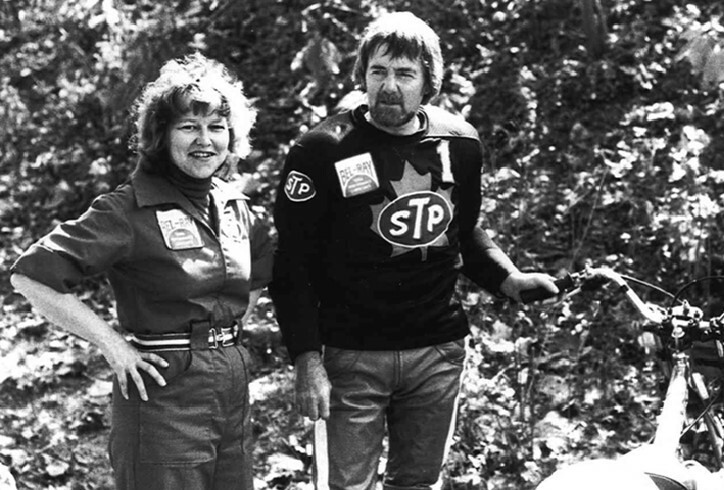 All three Williams are retired from hillclimbing, now. John and Marilyn have been married 52 years and enjoy their six grandchildren, but enjoy a chance to go touring by motorcycle whenever possible.